Hope everyone had a wonderful Thanksgiving! There are so many things I am thankful for this year, most importantly I am thankful for my little family. Last night I was so frustrated and Zach really couldn’t have been sweeter, he wanted to do whatever I needed to make me feel better. Who would have thought the perfect thing would be to take me to his friend’s bakery and have me help make doughnuts? Apparently Zach and it worked. There are so many little things he does for me all the time that make me smile, I am so grateful to have him in my life. Well all this gushing about my husband has a reason, today is the eleven year anniversary of when we started dating! I will never forget the feeling I had when Zach and I first started hanging out, I knew there was something different about him. He truly is my best friend and at the end of the day I am grateful we have gone through all we have because it brought us to where we are today. Our anniversary is not the only thing that I am excited about though, recently I was inspired by Chobani, only my absolute favorite yogurt company. They have a new project, #MadeWithChobani. I will admit , I was so excited, I LOVE Chobani yogurt, I eat it almost everyday. I immediately started flipping through my recipes deciding what to make. I had so many ideas, but one in particular jumped out at me. Chobani plain Greek yogurt can be used to substitute many ingredients in cooking and baking, and even as an enthusiastic eater of Greek yogurt I hadn’t really tried substituting so I knew this was the perfect opportunity. 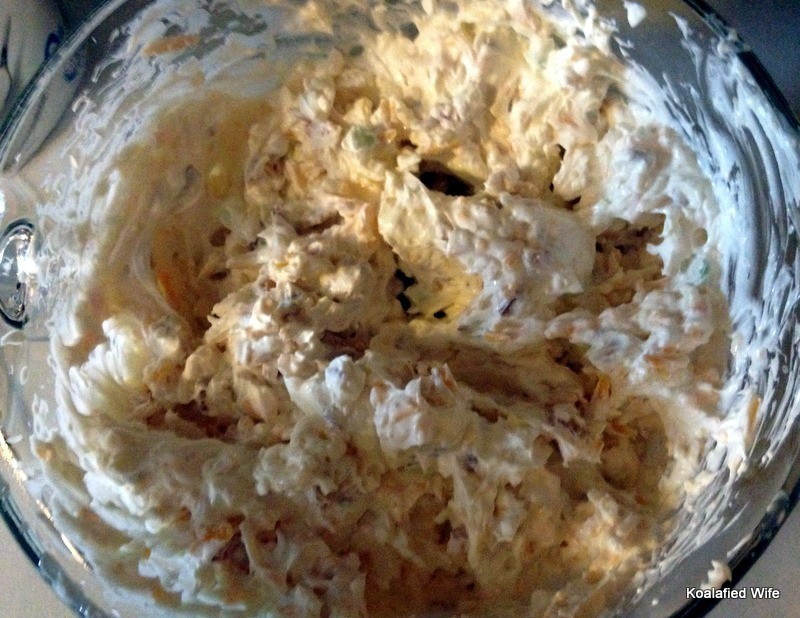 I have one dish that I make for every occasion, Christmas, Thanksgiving, football, just because, and it never fails that someone asks for the recipe, loaded baked potato dip. I can’t begin to tell you how easy and delicious this recipe is, 5 ingredients, that’s it. 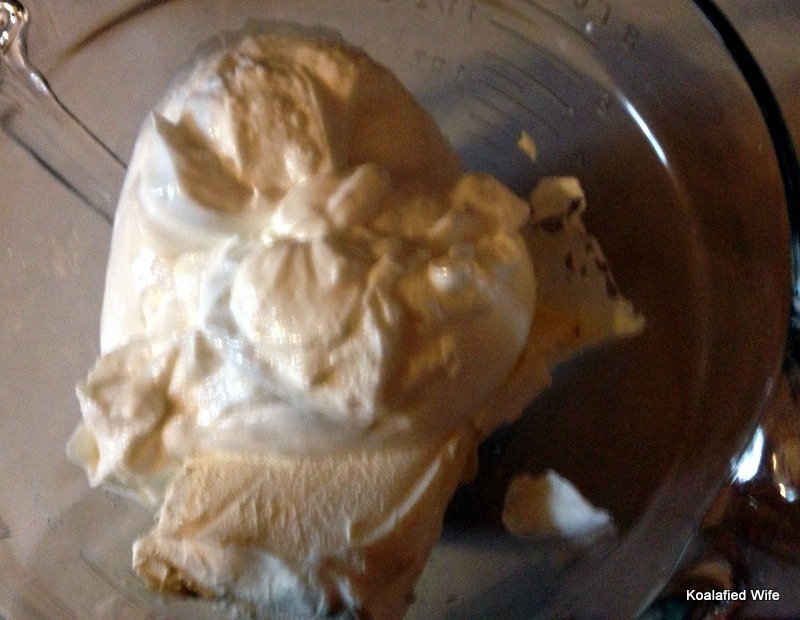 one of the main ingredients is sour cream, since I have recently discovered how delicious plain Greek yogurt is as sour cream I knew it would be a perfect fit for this recipe. 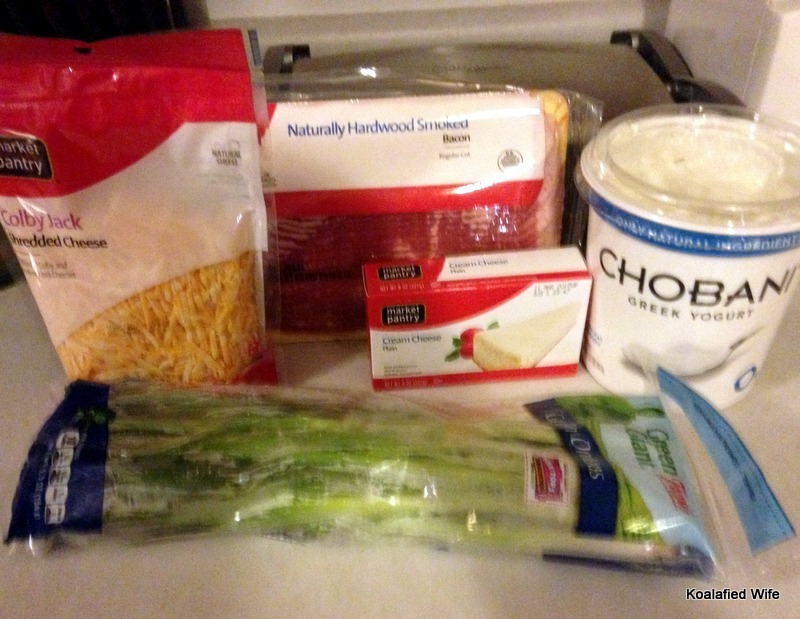 For this recipe you will need Greek Yogurt, cream cheese, bacon, cheese and green onions. First you combine the Greek yogurt and cream cheese. Then you add in the bacon, cheese and green onions. Mix everything together. I always use my hand mixer for this recipe, it makes it that much easier. Put it all in a small crockpot and let it heat up. Serve with chips, crackers or pretzels and enjoy! Combine Greek yogurt and cream cheese. 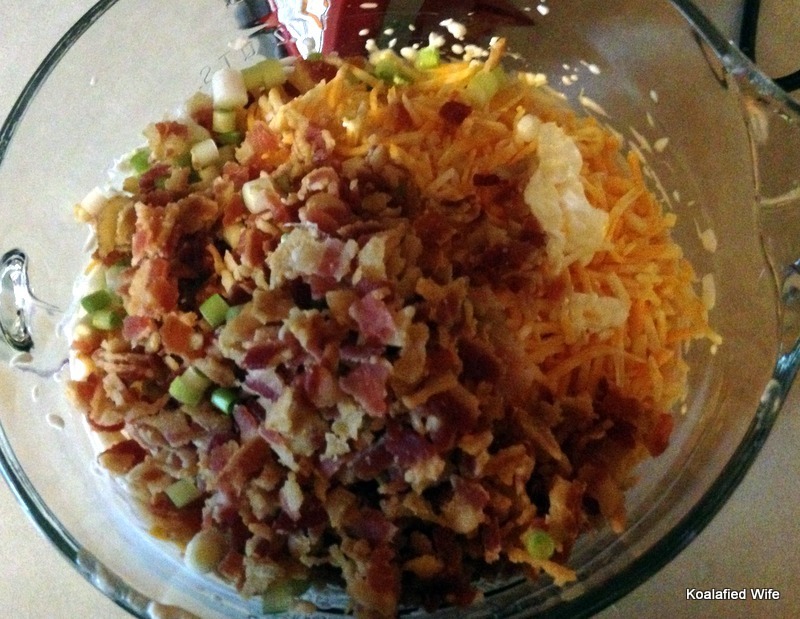 Once thoroughly combined add in cheese, bacon and onion and mix well. Place in crockpot and warm. 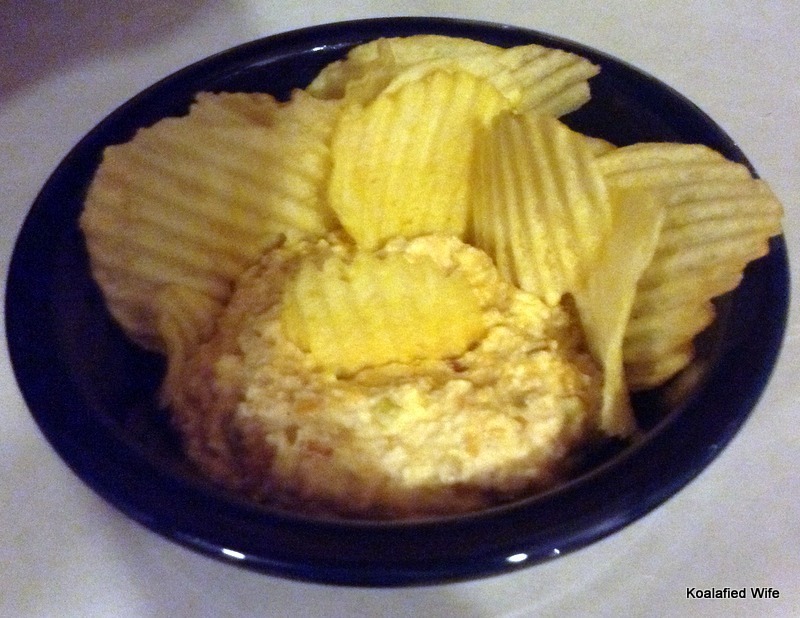 Serve with potato chips, crackers or pretzels. Enjoy! Now you see, this dip could not be easier! 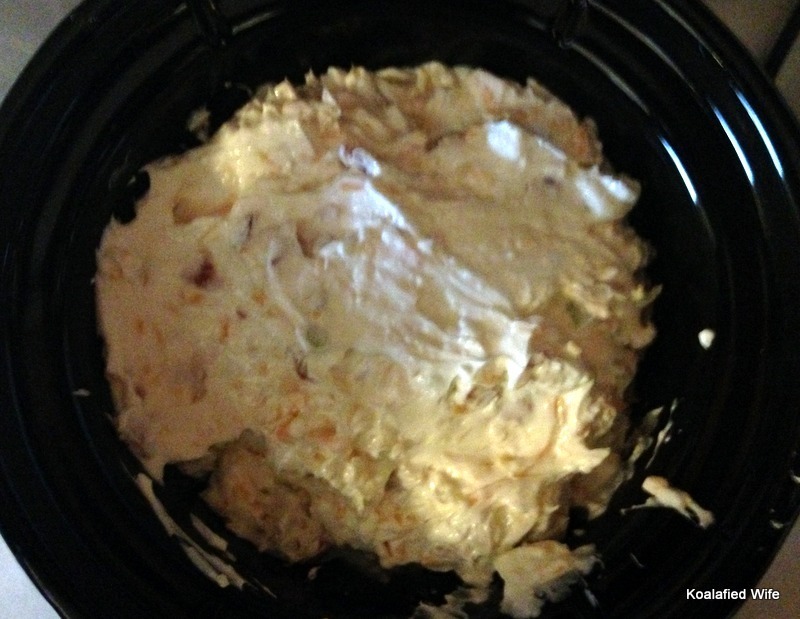 This was my first time making the dip with Chobani instead of sour cream and I could not tell a difference. It made me feel so much better knowing the dip was made with Greek yogurt, I didn’t feel nearly as guilty when I ate a whole bunch of it. So even those of you out there that aren’t really fans of Greek yogurt try substituting Greek yogurt for sour cream or butter in a recipe and see if you can tell a difference, I sure couldn’t! I want to say a big thank you to Chobani for inspiring me with their project #MadeWithChobani, as a relatively new blogger I am learning as I go and they inspired me so much with #MadeWithChobani! Just to clarify though all my thoughts on Chobani are completely my own and I am not being compensated to say these things, I just really love Chobani!